Netflix Series of the Month : LUKE CAGE by Cheo Hodari Coker! Report card on Episodes 1 to 8! 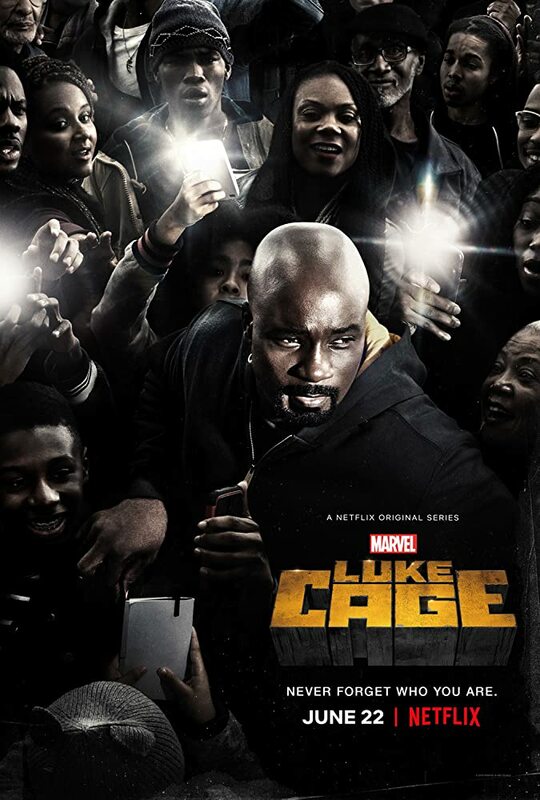 The long awaited third Netflix/Marvel series, LUKE CAGE, has launched, and helmed by relative unknown show runner, Cheo Hodari Coker, eight episodes in and I’m LOVING IT!!! Here’s a minor recap of the eight episodes seen to date. It’s relatively innocuous comments, but to cover my bases I will say minor spoilers ahead, if you haven’t seen the episodes. But really I don’t think it spoils anything. But if in doubt, watch the episodes first. Episode 1 and 2 written by Cheo Hodari Coker and directed by Paul McGuigan are exceptional. As strong, if not stronger of a start than the previous Netflix entries. It’s really some fantastic, rich, long overdue writing that touches on everything from Crispus Attucks to Walter Mosley to Dennis Lehane. Episode 3 is good but I have minor quibbles with it. The first 2 episodes sets up Luke Cage as someone who doesn’t curse and doesn’t like profanity, so his going into a battle listening to a profanity laden rap song seems questionable. Also the Director has the chance to make a pivotal action scene to match the wonderful episode 3 highlight of the DAREDEVIL season 1, and misses a mark with a pretty unremarkable action sequence. However the remaining episode, good dialogue, nice twists, and a literally explosive ending keeps this episode in the winner category. Episode 5 is FANTASTIC! Yes! Episode 6 Wonderful wrap-up. If this was a 6 episode season it would rock! In many ways this is the end of the first story arc, if this was a comic trade-paperback. And episode 7 begins the 2nd arc.So you should really approach starting the 7th episode, after a small break, like you are starting a new story arc. Episode 7 – Fantastic score highlights this episode. Probably the best score of any of the episodes. A fantastic origin story, this time for the antagonists. What makes a great hero, is a great villain. And this episode shows you the roots of two of them. One of the best episodes! Episode 8 – The machinations against Luke tighten as his life, and the lives of those around him come tumbling down. Another engrossing episode, that I was thoroughly entertained by from beginning to end. 3/4ths done and I think this series is a Home Run. I like it much better than Daredevil Season II, and have to wait to see if it sticks the landing… to see if I like it as much as DAREDEVIL Season 1 and JESSICA JONES.